All in all it would be a late night for everyone. 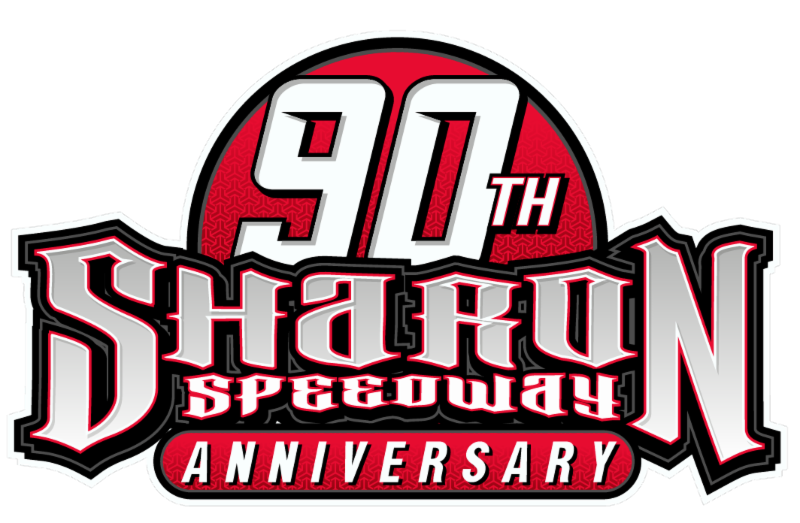 Hot laps were delayed for nearly a half-hour when one of the Legend Cars soaked the track in fluid and that meant all qualifying would be delayed until just after 7 pm. Five and a half hours later, the remaining fans (and there were quite a few who stuck out all the way to the end) headed to their cars just before 12:30 am although no one was complaining after the great action they witnessed. The “Fall Fling” 125 for the Super Late Models, rained out two weeks previous, was added to the Faith and Family night program and 17 race teams were on hand to do battle. Qualifying saw Steven King as the big surprise as the fourth generation racer tripped the clocks at 13.680 seconds topping the 16.720 lap turned in by Josh Todd who was just three-one-thousandths of a second quicker than Auburndale Super-8 Late Model Series point leader Chris Fontaine. Matt McCrary and Jett Noland were fourth and fifth quick. King’s pill draw luck wasn’t very good as he drew a ten to invert over half the field for the start and it would be just part of a very “eventful” evening for him that eventually would turn out OK. When all was said and done, Kevin Macy, driving a team car to Todd’s, would start on the pole with veteran driver Charles Kopach starting second in his brand-new machine. Macy zipped out to an early lead as Kopach got trapped on the high side and fell back. Macy held the point until Steven King was sent spinning in turn four off the bumper of Cody Martell to bring out the caution on lap five. Both drivers restarted at the tail of the field as Jamie King dropped out with problems early. Duschscherer was hugging the inside line and slipped by Blevins for the lead on lap 16 bringing a high-flying Todd with him. Lap 19 saw the second yellow flag of the race as Macy went for a wild spin off turn four courtesy of Matt McCrary. Both took a trip to the rear of the restart line-up. On the restart Ft. Pierce driver Jeff Johnston, make his first career Super Late Model start, spun going into turn one to keep the caution out. Johnston’s dad, Chet Johnston, was a regular Late Model competitor for many years all over Central Florida. Johnston had veteran driver Henry Shepherd as his crew chief as they were working the bugs out of both their new car and new driver. Duchscherer was holding strong up front as the battle for second was a great one only to be slowed again as Macy spun again in turn four on lap 27. Several cars took evasive action to miss the spinning car and Steven King was forced to pit to have a loose fender pulled from his racer. On the restart, Blevins snuck back by Todd for second and brought Fontaine along with him. Lap 36 saw the yellow back out again for a three car melee in turn four involving Noland, Kopach and Brian Dorer. All continued but Joe Boyd, running fifth at the time, suddenly headed pit side for a check of his machine while Alexa Anderson’s car stalled and she need a push to the pits. Both Boyd and Anderson were able to return to the fray, though. Todd used the restart to charge back into second place and he began stalking leader Duchscherer. Action was slowed again for a Noland spin in turn two. Fast qualifier Steven King, despite all his problems, had now worked his way up to sixth for the restart. Again things got crazy behind the leader as Blevins raced back into second bringing McCrary with him relegating Todd to fourth. Lap 48 saw Johnston spin in turn three and the following restart was negated when Kopach looped his mount in turn two as well. The restart was not a good one for Blevins as he slipped high and quickly found himself all the way back in sixth. Todd zoomed by Fontaine for third spot as Duchscherer and McCrary ran one-two. At the half-way mark it was Duchscherer leading McCrary, Todd, Fontaine, Noland, Blevins, Steven King, Dorer, David King and Alexa Anderson. Ten laps later Johnston spun again in turn one and backed into the wall ending his night. Also now out of the race were Boyd, Kopach and Kendall Anderson. 77 as the field settled into some green flag racing. The next caution would come out on lap 94 for Dorer’s spin on the back stretch. Todd got by Duchscherer for the lead just after the restart and was just a nose in front when the caution was out again for a spinning David King in turn two. The restart saw Fontaine go for a spin off the bumper of Steven King with both going to the back of the field for the restart. At this point Todd began to check out slowed only by Alexa Anderson’s slow spin in turn one on lap 113. Todd again pulled away on the restart and took the checker several car lengths ahead of Duchscherer with McCrary third. Blevins ended his strong night with a great fourth place finish while Steven King rebounded from his crazy race to get fifth spot. Noland took the sixth just in front of Fontaine with Dorer, Alexa Anderson and David King rounding out the top ten as the only cars running at the end. Taking eleventh through 17th, all DNF’s, were Johnston, Kopach, Kendall Anderson, Boyd, Macy, Martell and Jamie King. “I can’t say enough about my team and all the hard work they’ve put in to get us here,” said Todd. “And to be here with my buddies Bones (Duchscherer) and Matt (McCrary) all on the front stretch after this race is really cool,” Todd continued. McCrary seconded Todd’s thoughts. “All three of us meet for lunch a few times a week and it’s just really neat to be up here after running 1-2-3” he said. 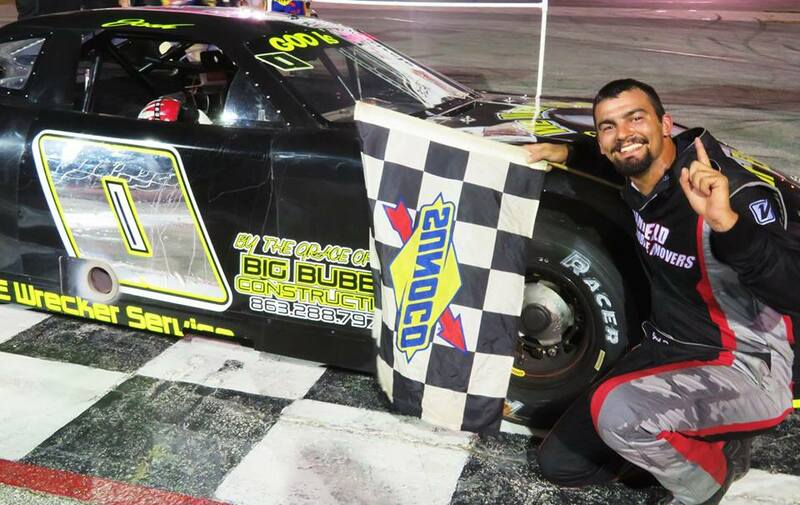 All three are local home-grown Auburndale Speedway drivers who basically grew up at the track and have worked their way up through several lower classes to earn their Super Late Model rides. The other big race of the night was a 50-lap contest for the “Outlaw” Street Stocks running under the rules used by the former Sunshine State Challenge Series. A bit of a disappointing field of eleven cars signed in but they were all quality machines and put on quite a show. Cody Stickler, driving the Richie Smith #42 hot rod, set quick time at 14.744 seconds, over a tenth of a second faster than second and third place qualifiers Richard Elkins, Jr. and track Street Stock point leader Steven O’Steen. The top six in time trials were inverted for the start with pole sitter Ross Francisco taking the early lead. Francisco was looking very strong until his machine suddenly quit during the ninth lap and he slowed to a stop on the back stretch to bring out the yellow flag. Danny Caylor inherited the lead and was setting a good pace with O’Steen moving into second just before Elkins went into a spin after tangling with Bobby Mobley. Mobley dropped out after the altercation. Stickler, who had taken a $200 challenge to start the race from the rear of the grid, slipped into second on the restart and began to put the pressure on Caylor, finally taking the point on lap 20. From there the race ran all the way to the checker under green with O’Steen taking over second on lap 24. O’Steen did his best to close on the fleet Stickler even slapping the wall a couple of times during his pursuit. In the end Stickler was just too strong and he took the apparent win by a large margin over O’Steen. However both Stickler and apparent third place finisher Kenny Gibson were disqualified in tech for illegal shocks. That handed the win to O’Steen with Caylor ending up with second and Devin McLeod third. Rounding out the finishers were Elkins, John Smith, Gilbert Corbin, Todd Brown, Mobley and Francisco. The Legend Cars were out in force with 17 cars needing a pair of heat races to set the field for their 25-lap feature. After the heat race wins were taken by Jim Smith and Seth Adams it was Smith taking the feature lead from his pole starting position. This race would see a number of caution flags, one for a wild front stretch altercation that eliminated both of the Little Gator Motorsports cars driven by Jade Hubert and Noah Cornman. Smith held sway until lap 18 when Adams got under him for the point and he never looked back from there in scoring his fourth win in a row here after getting a late start on the season. A late scramble saw 15-year-old Jarrett Wagman come home with the second spot in just his sixth start in a Legend Car and second race at Auburndale. Point leader Smith held on for third ahead of Devin McLeod who gave Bob Wilson’s car a great run to the front. Fifth went to Taylor Hosford trailed by Alan Heifnar, Kyle Pitts, Christian Baker, Mitch Verhaagh and Dylan Brewer who was making his first-ever start here. Rounding out the finishers were Brandon Hershey, Rusty Mallett, Jeremy Condrey, Cale Nolen, Cornman, Hubert and Chris Hamm. Danny Burchfield led the first 16 laps of the V-8 Bomber feature before giving way to David Purvis who led until lap 22 before heat winner James Wright III took over the point. But shortly thereafter Wright and Purvis tangled up and had to go to the rear of the restart grid. That put Burchfield back in the lead and he drove his way to his first win of the season. Purvis and Wright rebounded to finish second and third ahead of Jody Gill, Brian Harbin, Ronnie Abney, Jimmy McCloud and Travis Todd. Keith Cantrill led all the way to win the Scrambler feature race, his second win of the year, holding off Chuckie Harrison and Fred Wilson. David Williams took fourth trailed by Danny Burchfield, Jr., Reggie Ware II, Zach Ware, Brian Conger and heat winner Dennis Dean who dropped out early with engine trouble. When Chris Narramore, Sr. had late engine woes, his son Chris Narramore, Jr.
caught and passed him for the lead and the victory, his eighth of the season. The elder Narramore held on for second over Bruce Cozad and Freddy Martin. David McCaig and Jason Sopczak were unable to start the feature. Narramore, Sr. won the heat race. Russell Bush grabbed the lead from Douglas Herrin, Jr, on lap 14 and went on to win his first Mini Cup feature of the year. A late charge by Maria Martins gave her the second spot over Herrin, heat winner Brey Holmes, Wilson Martins, Easton Bush and Bill Rychel.